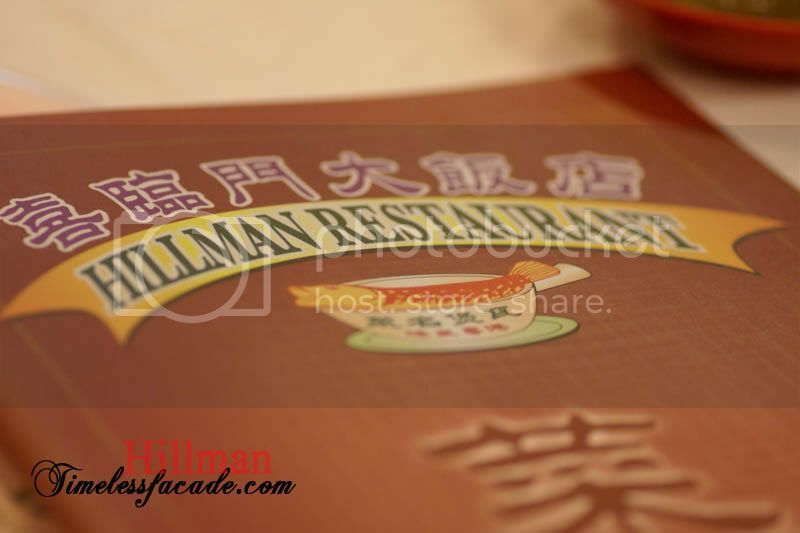 Dropped by Hillman Restaurant for dinner with my family after a rather good experience there back in Aug 07. Contrary to the quiet scene we had witnessed on our previous visit, the restaurant was brimming with people this time round so reservations are recommended. Still as good as I remember it to be. Well seasoned boneless chicken with flavourful juices seeping through with every bite. 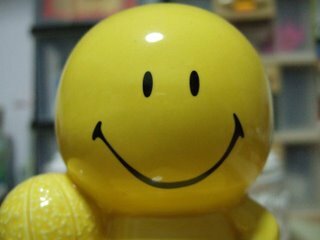 The same gripe still exists though. Its a chore to try and seperate the chicken from the paper bag. Even more so when I'm already salivating from the prospect of popping one chunky piece of chicken into my mouth. 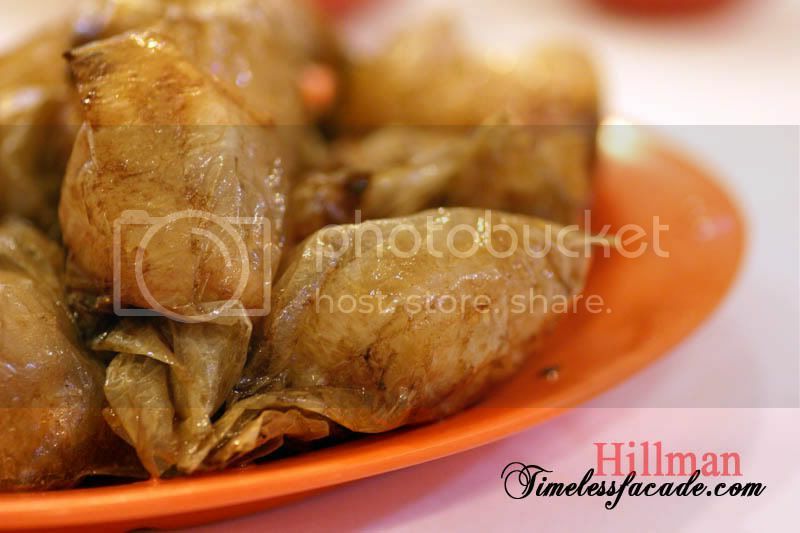 A most common dish but well executed. 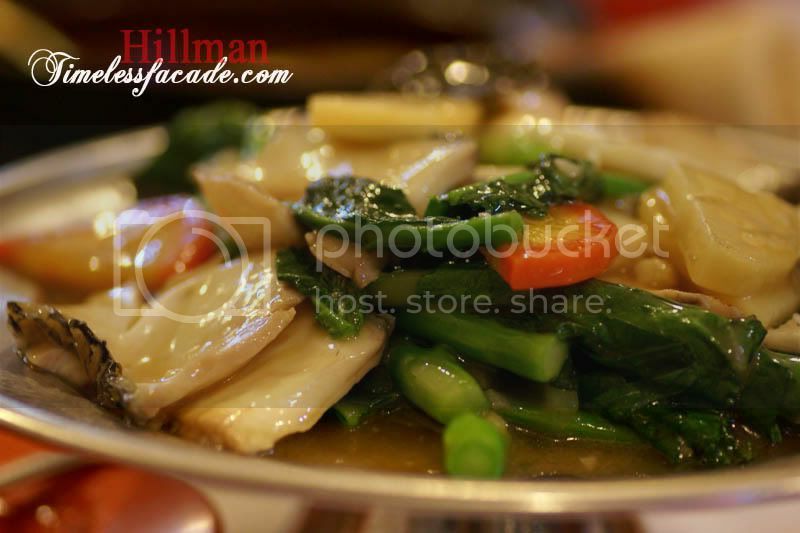 The kailan had a nice smokey taste but did come across as a little limp probably due to being soaked in the gravy for too long. The fish slices were fresh and firm but weren't too sweet. Certainly not the best fish around. 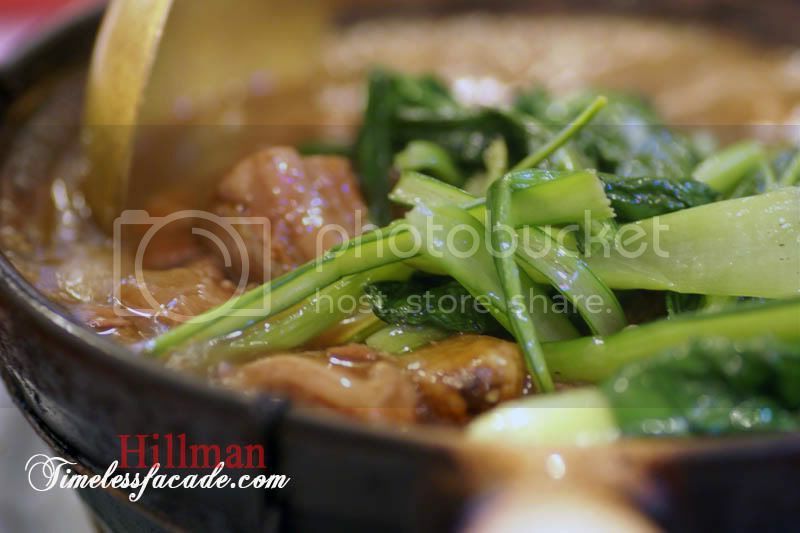 As mentioned in my previous post, one of Hillman's specialties is its claypot dishes. However this one failed to shine. True, the gravy was flavourful but the roasted pork was way too fatty. The sea cucumber came across as average. 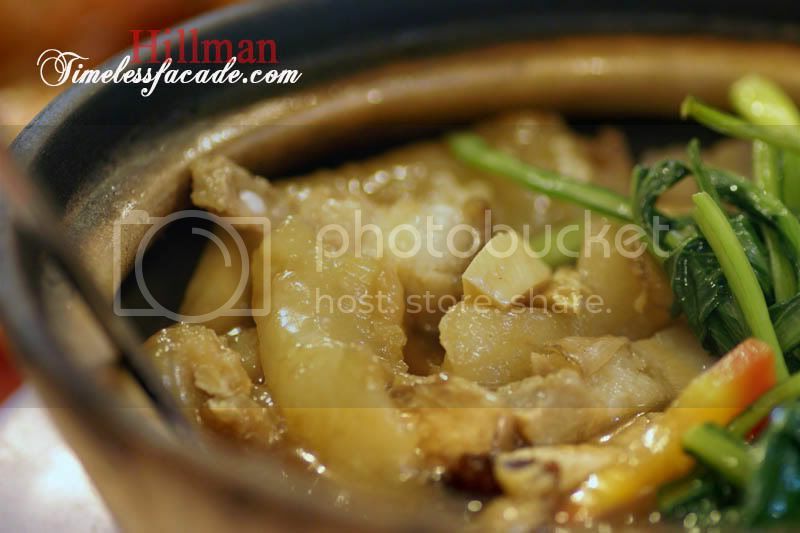 Another claypot dish but this one fared slightly better than the roasted pork with sea cucumber. Soft and chewy, the beef proved quite a pleasure to consume but the gravy could have been a little weaker, especially when it threated to overwhelm the taste of the beef at times. This quirky sounding beancurd came highly recommended. Home made and crispy on the outside yet soft, quivery on the inside. 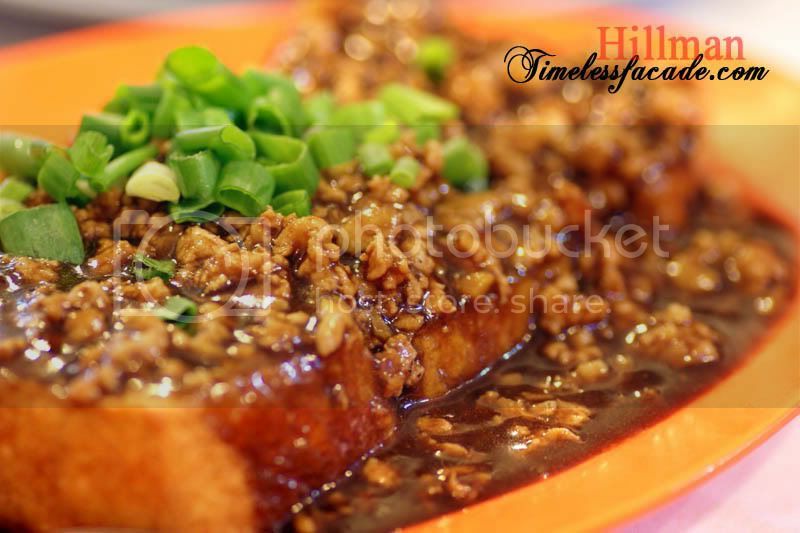 Topped with copious amounts of minced meat gravy, the beancurd is more of comfort food then anything else. I would have liked it to have a stronger smoky aftertaste though. 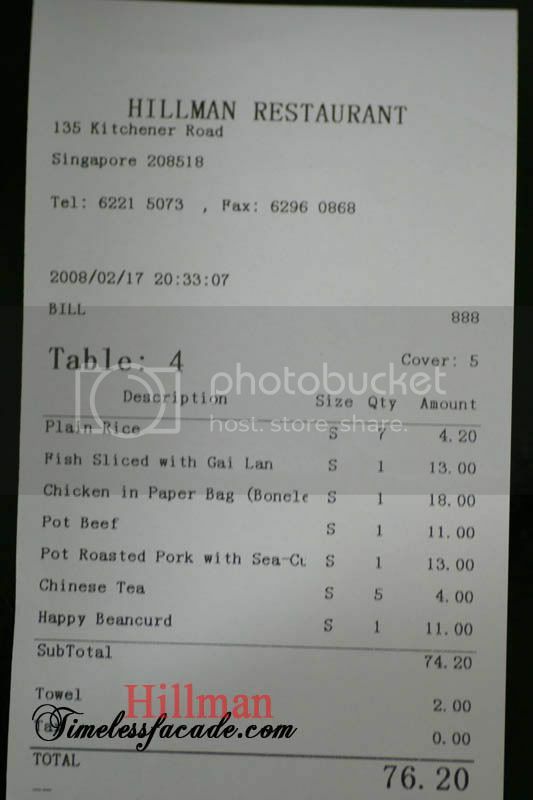 Prices have gone up about 10-20% but still falls within the reasonable range for the quality and quantity of food, standing at about $76 for the 5 of us. Service is still almost non existent except for the occasional serving of dishes. Why do you say it's a bad location?